It’s never easy to decide on an itinerary. You always want to include as many destinations as possible, sometimes you’re not sure of how long you should stay in each place, and at the same time you want to optimize your time and enjoy your trip as much as you can. No, definitely it’s not easy, in a way or another you might have to compromise. I have been to Croatia 3 times, and when you have to drive from Germany, it’s impossible not to cross Slovenia. Luckily, Slovenia is one hell of a pretty country and totally deserves attention, for this reason, a stop is a must. On the first time, we went to Pula and stopped in Ljubljana, the second we went to Krk Island and stopped in Ljubljana and Lake Bled, the third we went on a long trip around Croatia and stopped in Bela krajina, region near the Kolpa river, natural border of the two countries. When we were invited by BIG BERRY to spend a few days getting acquainted with their awesome project, yes was definitely the right answer. Having the Kolpa river at literally our doorstep, visiting local producers and having some relaxed time meant it was the perfect stop in Slovenia before heading to Croatia. Not to mention it was our first glamping experience, and we loved it! Bela Krajina is a beautiful Slovenian region with lots of activities for everyone, from wine tasting to kayaking, from visiting a honey producer to abandoned castles, from star gazing to relaxing in a Jacuzzi. Not to mention, it serves as a good base for those wanting to explore more other parts of Slovenia, like Lake Bled and Ljubljana, since it’s pretty near to these places. For those who love camping, and for those who love getting in touch with nature and the local culture, this place is a must! 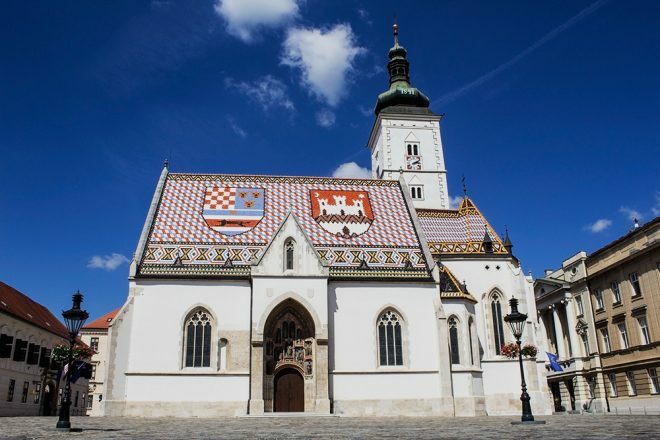 I always wanted to visit the Croatian capital for some reason, St. Mark’s church has always been on my bucket list of places to see. The truth is, Zagreb didn’t disappoint, the old town is amazing and the city’s vibe is exciting. 1 day was enough to see the main attractions, but if you’re willing to see more, then consider staying 2 days. Where to stay in Zagreb: in the old town, which is where you will spend most of your time. A must! This place is far from being overrated and you won’t be disappointed. 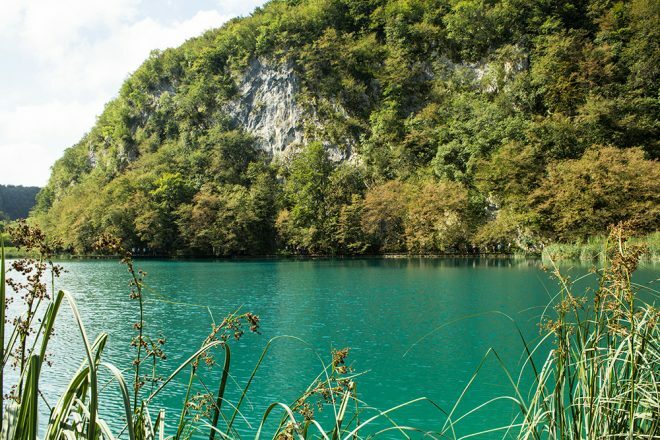 Real places can be very different than pictures, the Plitvice Lakes can’t be fully expressed in pictures. One day is enough for the visit, day trips are possible from Zagreb and Zadar. If you would like to stay longer and explore more, there are several camping places, guest houses and apartments to rent in the area. 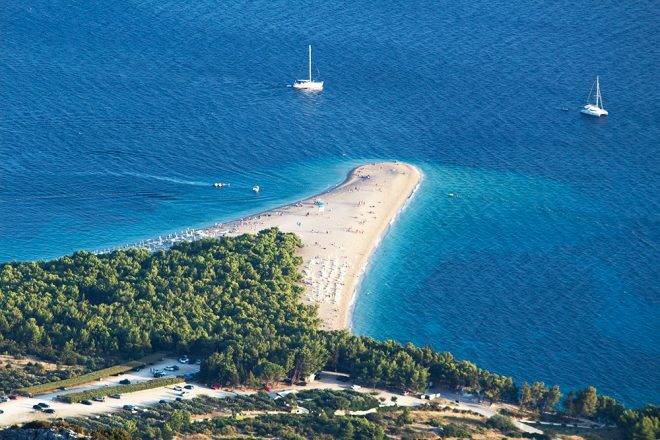 Brac Island is home to one of the most famous and best beaches in the world, Zlatni Rat. The island is laid back, with beautiful beaches, some secluded even during the high season. It is a great place for hiking and for water sports like kitesurfing, and has a stunning sunrise. Where to stay on Brac: I recommend to stay in Bol, the main city on the island. There are a few hotels and guesthouses in town, but staying in a rented apartment is a great idea. This island surpassed my expectations, which were high, and it wasn’t because of the parties, on the contrary, it was because of its beauty, history and local culture. 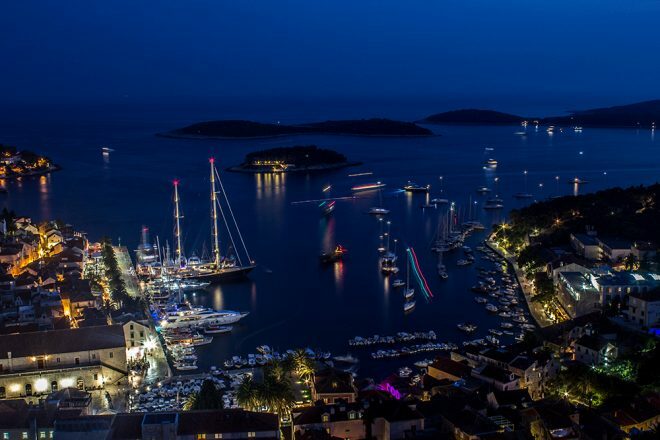 Hvar is not only for party goes, but has something for everyone. It is possible to visit the island both on a budget and on a luxury basis, and it won’t be hard to fall head over heels for this place. 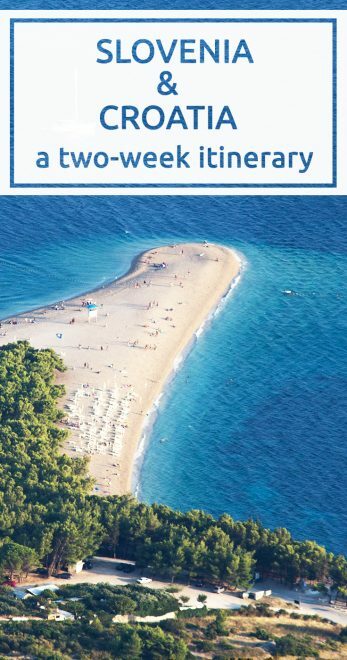 From Brac to Hvar: unfortunately, there are no car ferries from Brac to Hvar, to go from one island to the other with your car you will need to return to Split and catch another ferry. At the moment there are only catamarans (only for passengers) connecting the two islands. Where to stay on Hvar: Hvar town is the main city on the island, it is also the most expensive part to stay. I can highly recommend to stay there if you’d like to be in the busiest part of the island. However, if you are looking for places more calm or cheaper, then I recommend Milna, which is only 8km away from Hvar town. Staying in Stari Grad or Jelsa is also a great option, though they are a little bit more far away from Hvar Town. Trogir is a very small town only 28km away from Split, and apart from being very pretty, it was also one of the filming locations of Game of Thrones. St. Dominic Monastery was used for scenes of Qarth in the second season. We made a very quick stop in town on our way from Hvar to Zadar. 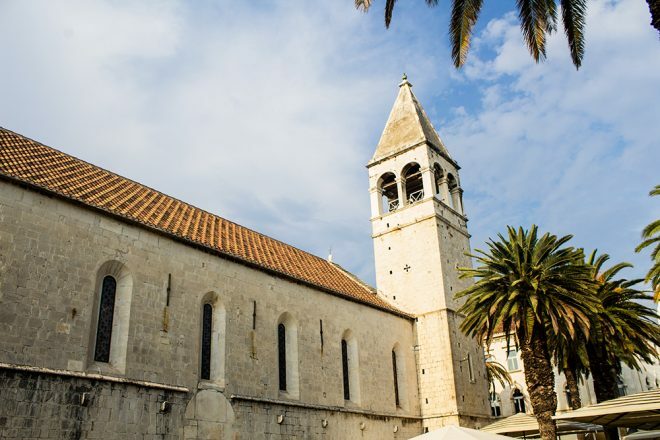 For those staying in Split, a half day trip to Trogir is more than enough. 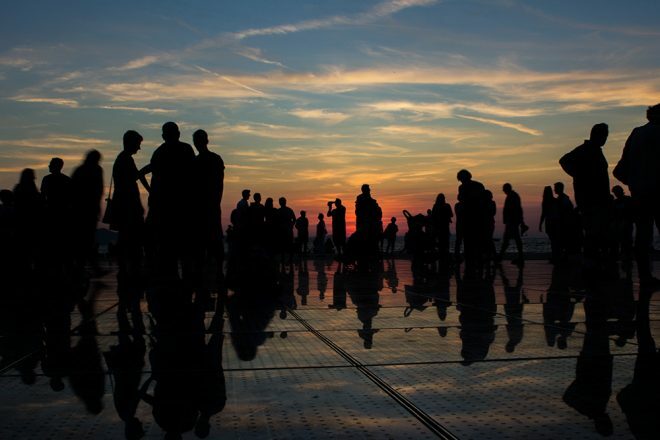 Zadar is well known for its sunset, and I tell you what, it is truly amazing. The city was ranked first on the European Best Destination in 2016, and its old town certainly is reason enough for a visit. 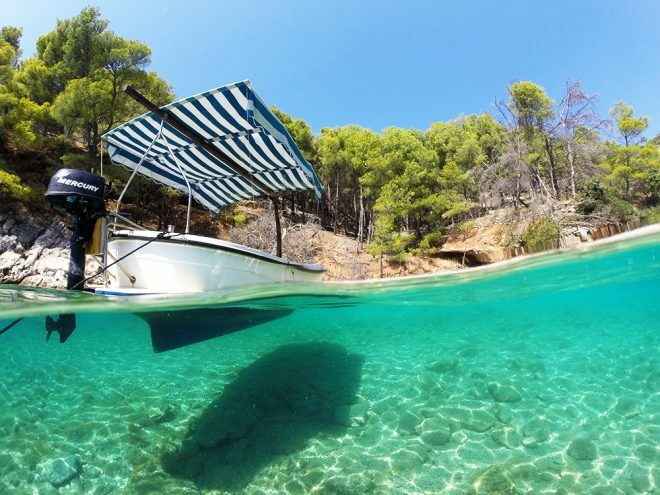 However, apart from the old town there isn’t much to do in the city itself, everything that will keep you busy there is in the surroundings, from beaches to visits to the several nearby islands and even a day trip to some national parks like the Plitvice, Kornati and Krka. Where to stay: if your focus is to visit the city, stay as close to the old town as possible. If you are there for the beaches, stay in the surroundings. 1. 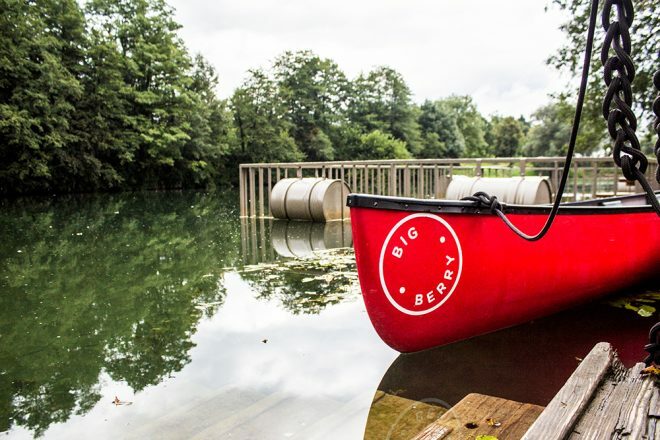 I would have definitely stayed longer at BIG BERRY, there is so much to do and see in the region, not to mention it is a beautiful place to get your mind off your routine. 2. 4 days in Hvar was definitely not enough time, one week would have been better! I really did fall in love with the island and would love to return and explore what I missed this time. 3. I wish we had the time to visit Krka National Park on our way to Zadar. Next time! 4. I believe that for us 1 day would have been enough to explore Zadar. Split: we wanted to focus on the islands and since we already had Zadar at the end of the trip, a few hours in Split wouldn’t do justice to the city. Next time Split will be on the itinerary. Dubrovnik: definitely not because we didn’t what to, but because the city is further down in the south and would require more time and more driving. From Germany to Dubrovnik it’s best to fly rather than drive. In our case, we drove from Munich, however, depending on where you are coming from, I would suggest to start your trip in Zagreb, then head to BIG BERRY, go down to Zadar, the islands and back to Zagreb. We still need to visit Dubrovnik. I can imagine how difficult organizing the itinerary was, I had a hard time with Morocco and I’m having right now planning our trip to Cuba! Thank you for sharing. I’ve being wanting to go to Croatia and didn’t know where to start. This will help my trip planning.